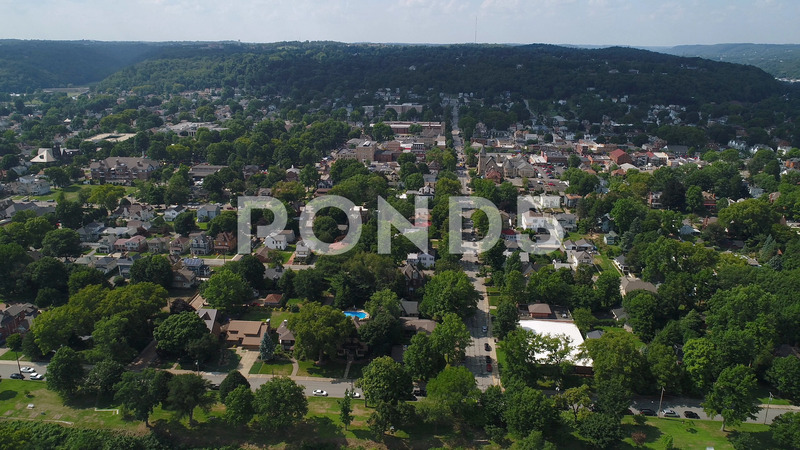 A laterally-moving aerial establishing wide shot of the small western Pennsylvania town of Beaver. Business district in the distance and neighborhood in the foreground. Pittsburgh suburbs.